For many years, Rwanda has been overlooked as an African tourism-must. But now, Rwanda has earned its rightful place in the African tourism front and nothing confirms this more pronouncedly than its top luxury stays. Rwanda is one of Africa’s leading eco-tourism destinations, so it comes as no surprise that three of its top luxury stays are eco-lodges as well. Rwanda has an astonishing natural wealth, with the mountain gorillas being its most famous wildlife icon. And it is this wildlife icon which has inspired several of Rwanda’s top luxury tourism facilities. Nyungwe Forest Lodge has a splendid location: it is situated on the verge of the Nyungwe closed canopy rain forest. Inspired by its location, local tea plantations, ecological and social responsibilities, Nyungwe Forest Lodge was developed on deep-reaching environmental and social principles. Luxury has not stayed behind and now you can enjoy Nyungwe – Rwanda’s top luxury lodge. In this small, exclusive environment, you know your needs will be met. With the lodge’s clever and state-of-the-art design, all rooms and suites face towards the forest. Wake up with the forest view on your doorstep and the sounds of its resident chimpanzees. The lodge offers luxury facilities including a relaxation centre, spa, restaurant, bistro, boma, gift boutique, personal guided forest walks – the list of luxuries is impressive. 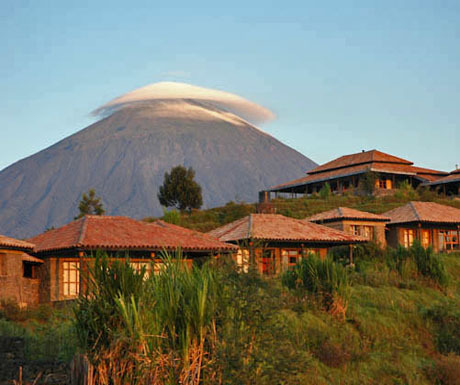 Right next to Nyungwe Forest Lodge in terms of luxuries and personal attention, Virunga Safari Lodge offers you an authentic stay in the world-famous Parc National des Volcans. With this national park setting, the Virunga Safari Lodge was one of Rwanda’s very first proclaimed eco-lodges, and continues to be a flagship eco-lodge in Rwanda. And it is not only the eco-lodge badge, the unique views across lakes and volcanic mountains that make travelers return: Virunga Safari Lodge and its eight bandas have not left any luxury unoffered, and they’ve added their own unique Rwandan taste. With its old-world African charm, the bandas are spacious and comfortable. The lodge offers a restaurant with international and local cuisine – it is one of Rwanda’s finest lodges. They say you will find your inner Dianne Fossey at this 5-star Rwandan lodge. Located at the foothill of the famous Virunga Mountains, prepare to find even more. The lodge features individual cottages, offering you the best of a peaceful and comfortable stay. 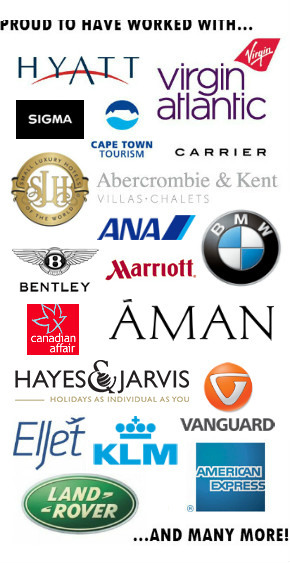 For your convenience, enjoy their butler services, restaurant, tourist assistance and more. Find your place at the foothill of the Virunga Mountains – enjoying morning coffee or sunset drinks on your own private veranda. Double, suite or family cottages are available. Opt for the family cottage if you want to experience this unique African setting with your family or small group of friends. Find your stay at this charming Kigali location literally a stone’s throw from the Kigali International Airport. Take time at Inside Afrika Boutique Hotel to recover from your trans-continental flight before stepping out into Rwanda’s wildlife and volcano hikes. A small hotel with only nine rooms, Inside Afrika was awarded a place on the Guardian’s Top 7 African Hotels list. Room options include a standard or double room, while breakfast is included. Pools, deck, outdoor fire place and more can be expected, with boutique service that will treat you like a royal. The setting at Lake Kivu with its tropical gardens and massive lake, lend itself to pure luxury. For a moment, you might forget that this idyllic setting is even located in remote Africa! The lake is a popular hub of water activity, while the Serena Hotel will look after your every need. White sands, water edge, tranquil pools and cocktails are what you will find most visitors indulging in. The Serena is well-known for its health and treatment facility, so be sure to try some of its exquisite offerings. En-suite rooms, private sitting rooms, private decks, restaurant and café – and even a poolside party – all with a distinct African style. Rwanda is a must for the discerning African traveler. Gorilla and volcanic mountain hikes are the key attractions, but you could equally enjoy these luxury stays with breath-taking mountain and lake views without venturing too deep into the wildlife territory. Whichever you prefer, Rwanda’s natural and social fabric will leave you both moved and inspired. All of them seems really top notch. I would especially love to spend a holiday on the Virunga Safari Lodge. OK. Wow. I never knew Rwanda was so beautiful. Thanks for the tip. The picture of the clouds above the mountain is amazing. I love what I’m seeing so far specially Virunga Safari Lodge. I am now interested in spending time in Rwanda. Rwanda is very beautiful and amazing.From the amazing gorilla trekking experience, to the world class hospitality of the Rwandan people to the luxurious accommodation facilities. Are you serious? No more holidays here in the US, will be taking my vacations to Rwanda Period. Viva President Paul Kagame and all Rwandans. Good job!!! We stayed at Nyungwe Forest Lodge during a recent trip to Rwanda and absolutely loved it! What a stunning location and gorgeous property. Service was wonderful, too!